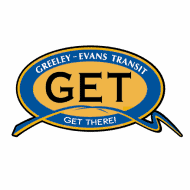 The information obtained in this certification process will be used by Greeley-Evans Transit only for the provision of transportation services. Information will only be shared with other transit providers to facilitate travel in those areas. The information will not be provided to any other person or agency. In addition to the form below, we will need you to complete an authorization form for us to contact your physician or health care professional to confirm your information.